In most of the country, October is the wettest month of the year. Everywhere from San Jose westward is likely to spend the majority of this month under warm rainstorms. However, on the other side of the country in the Caribbean, the typical weather pattern generally results in dry, sunny days throughout most of October. Due to this inverse of weather patterns, travel to Costa Rica in October can be a little more complicated to work out; some eco-lodges on the Pacific will actually close for the month due to high rains, while Caribbean accommodations are often booked up months in advance. 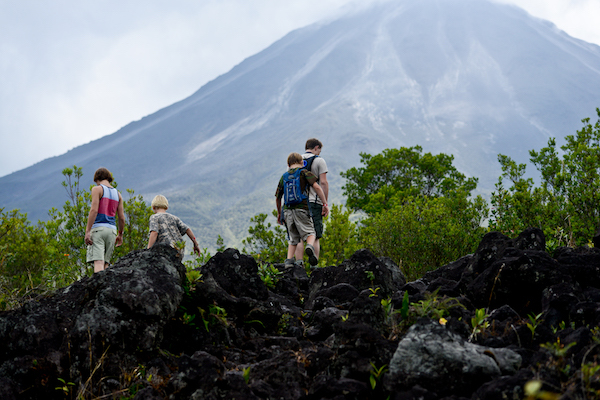 Read on to learn more about planning a trip to Costa Rica in October. In October, Costa Rica’s weather patterns tend to flip. A mountain chain runs down most of the central part of Costa Rica creating two vast slopes (the Pacific watershed and the Caribbean watershed), which define the weather on each side of the country. On the Pacific side (pretty much everything from the capital of San Jose and westward) in October, they are in the heart of the rainy season. It is not uncommon for it to rain every day as precipitation levels are at their highest. Conversely, the Caribbean side gets a reprieve from the rain in October and tends to be sunnier and dryer. In fact, the weather on the Caribbean side of the country (San Jose and eastward) tends to be so nice in October that high season pricing and availability is in effect. This annual week-long festival is held in the Caribbean city of Puerto Limon, near Puerto Viejo and Cahuita. It leads up to Day of the Cultures and is meant to celebrate all things Afro-Caribbean in Costa Rica. Parades with floats and dancing women move through town and food vendors bring out all of Limon’s best dishes such as rice and beans (coconut battered rice and beans), escabeche de pescado (marinated fish), pan bon (sweet bread), and ale (lemon fruit drink with ginger and sugar cane). Unfortunately, in recent years, municipal budget limitations have kept Limon from celebrating the carnival. If you do happen to visit during Carnival, make sure you have reservations far in advance for the surrounding area as many tourists, national and international, make their way to the coast for this event. As with most of the Americas, Costa Rica recognizes the arrival of Christopher Columbus to the Americas on October 12. Formerly called Dia de la Raza (Day of the Race) by Spain, Costa Rica has recently changed the name of this holiday to Day of the Cultures in a nod to the many cultures that make up Costa Rica now and that made it up when Christopher Columbus first arrived in 1502. Though not an official Costa Rican holiday, most schools and many businesses close for the day. As recently as a decade ago, Halloween was still viewed as a devious celebration by the majority of Costa Ricans, but enough children have eagerly adopted this evening of candy, scary clothes and running loose in neighborhoods, that their parents have slowly begun to relent. These days it’s quite possible to see children celebrating a Halloween-themed activity in their schools or, to a lesser degree, trick-or-treating at night. 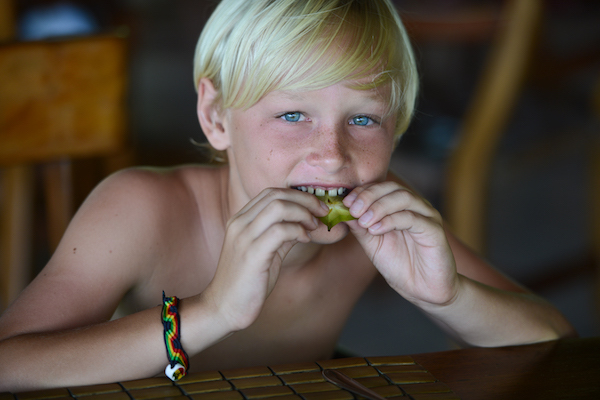 It is obviously much more common in areas where there are large expat communities. Don’t even step foot into Costa Rica without a compact, travel-friendly umbrella. Maybe if you bring it, you won’t need it; but if you don’t bring it, you’ll wish you had! Quick dry clothing and shoes that can get wet are also important to bring so that you don’t spend your days desperately seeking out a laundromat. 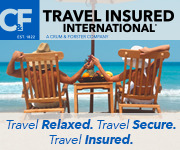 For more information on what to pack for a visit to Costa Rica, visit our detailed Costa Rica Packing List article. Rain. Rain. Rain. More rain. Visit Las Baulas National Park – Young and old alike will be amazed by the sight of the 2,000-pound leatherback turtle nesting in this magnificent national park. A bilingual naturalist guide will be able to give you all of the unique information you need to understand this majestic creature. Go scuba diving – Although underwater visibility can be affected by all of the runoff during the rainy season, there are many spots off Costa Rica’s shores that are only accessible during the rainy season. 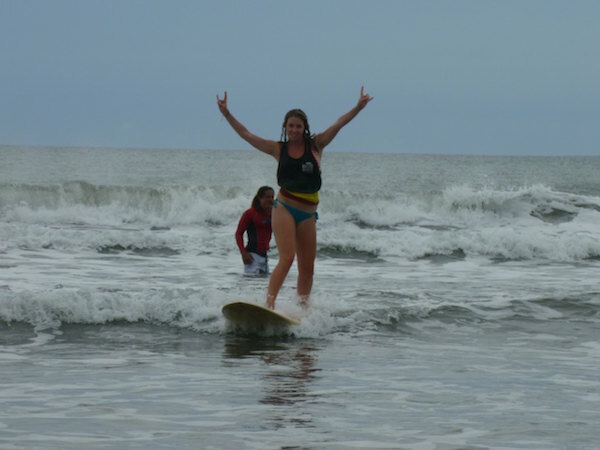 Surf Costa Rica’s Waves – October can mean huge waves in Costa Rica if you know where to go. 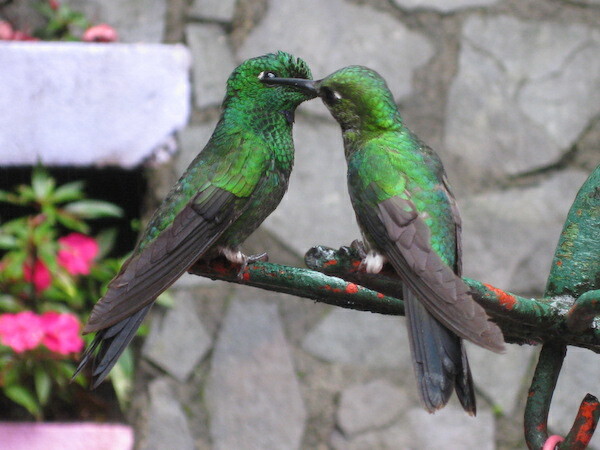 View Northern Birds Migrating South – A trained ornithologist can help you spot migrating birds as they head south across Costa Rica’s majestic canopy. Head to Tortuguero – Tortuguero, which literally means “turtle land”, is an up-and-coming tourist destination located in the northern Caribbean region. Generally, nicer days and nesting turtles make October a great month to explore the mangroves, watery canals and exotic wildlife of this region of the country. There’s no doubt about it – Costa Rica in October is wetter than average. However, there are plenty of ways to enjoy a trip in October. The Caribbean tends to experience a dry season from August-November that makes it an ideal place to visit. 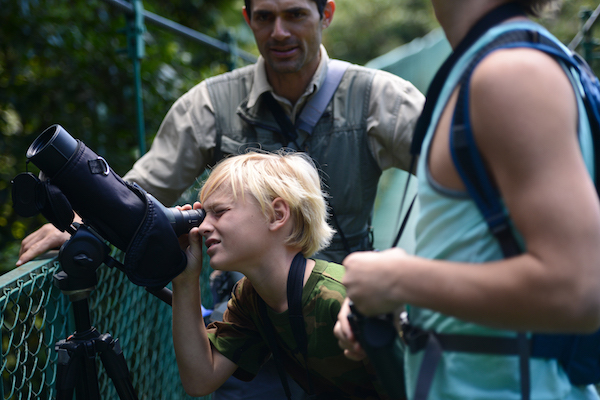 Also, there are some great activities to participate in during Costa Rica’s rainy season such as watching the nesting turtles, surfing the big waves, and scuba diving.